Many professional audio manufacturers have products that use digital signal processing and want to connect them to their own range of networked peripherals. 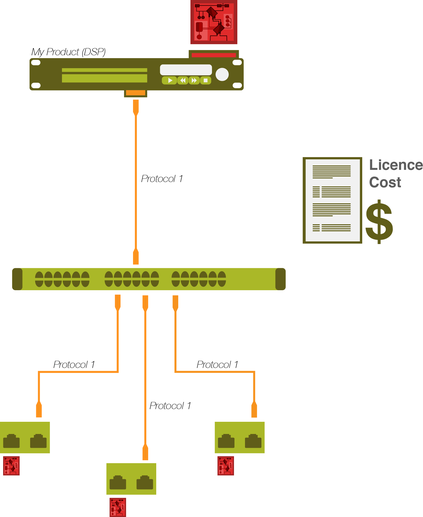 One option is to adopt a commercially available licensable solution but this comes at a cost. If you are only wishing to connect between your own products then will add a significant cost both in terms of development tools and ongoing hardware licence fees. You are also tied to asking users to use a dedicated control programme when you may want to create a more seamless solution for users. The alternative is to create your own networked protocol but this takes time and resource that you could better use on your core product development. The risk with using a proprietary protocol is that you are then locked in forever. In the ever changing world of networked audio, what originally seemed like a requirement for a closed solution might need to connect to other audio devices in the future. 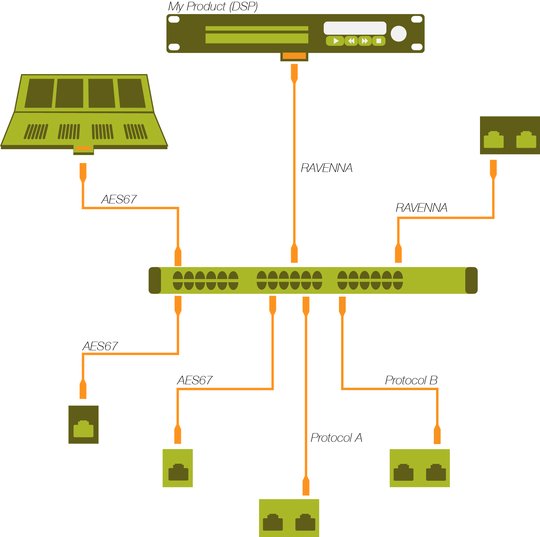 RAVENNA is an industry standard audio networking protocol extensively used in demanding broadcast set ups. It can be adopted by manufacturers in a variety of different ways. RAVENNA offers manufacturers a variety of ways of adopting the technology. You can buy networking hardware from three different suppliers or you can licence the technology for a one-time fee. 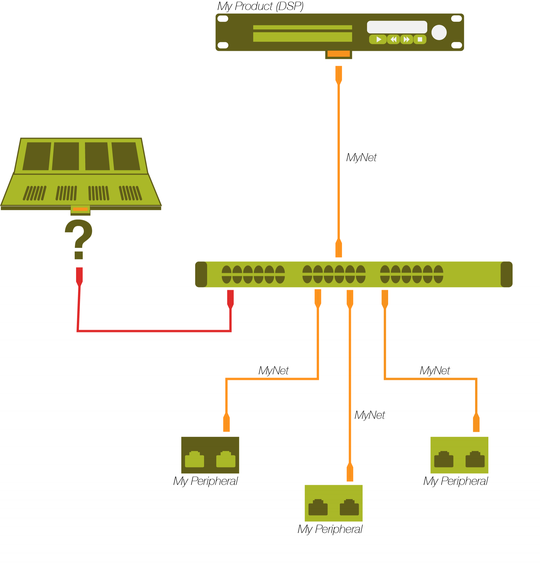 Whilst you may have chosen RAVENNA as an easy way, low cost way of connecting your own devices, it also gives you a pathway for future compatibility with a vast range of audio industry products. RAVENNA is AES67 compliant, this means that it can connect to an ever growing list of professional audio device. 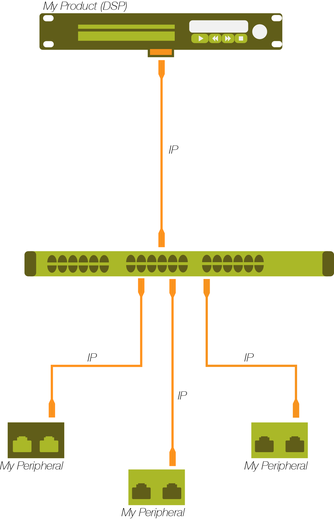 AES67 is a standard to allow the leading networking protocols such as RAVENNA to pass audio between each other. RAVENNA was the first such protocol to offer this and opens up the possibility of opening up your products to others in the future. RAVENNA gives professional audio manufacturers the most flexible, low cost and future compatible means of getting your products networked together. For simpler connections to your own peripherals the one time fee allows you to adopt RAVENNA networking with no ongoing cost. For lower volume, more sophisticated devices, that are less price sensitive, you may benefit from adopting a hardware solution from a RAVENNA partner.